This trend has to be one of my personal faves. This look is so cute and feminine, it mixes cute with sheek. 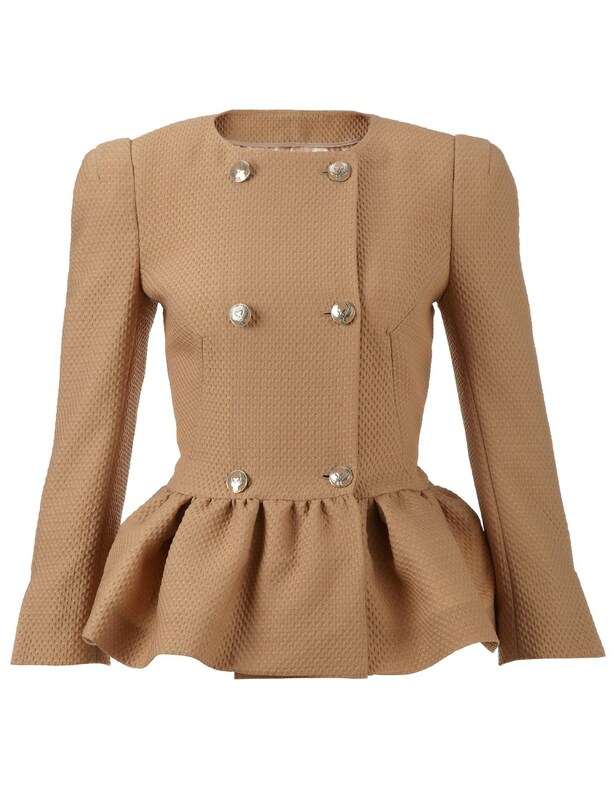 But many girls are confused as to how to style an outfit around a peplum, or are more than just peplum shirts okay? YES. Check out the looks below to help you figure out what you like best for your peplum look. If you decide to wear pants, THEY MUST BE SKINNY/FITTING. I mean c'mon your cute flare jeans and boot cuts wont work in this situation ladies. The same applies to shorts, keep the form simple and let the peplum do all the work. If you go with the dress look, just remember not to over accessorize. Your main accessory is the peplum (duh). Here are some great examples. Some trends can shift from one season to another and this one can too! 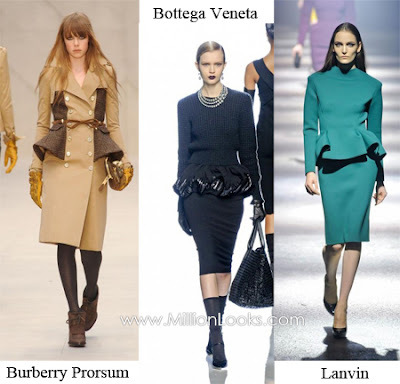 How do you change your summer/spring peplum look into a winter/fall? Wear coats, jackets and even long sleeve dresses and shirts! This trend is so diverse you can make it work in so many different ways.